According to modern research, there are some essential relationships between our mouth and the rest of our body. 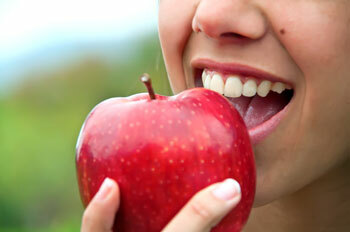 Our mouth is the gateway to our body and has a profound impact on our overall health. When our mouth is healthy, we can nourish our body with nutrient-dense foods such as fruits and vegetables and calcium-rich dairy products. It’s particularly important to avoid starchy or sugary foods. The starches and sugars combine with the plaque to produce an acid that eats away at your tooth enamel, resulting in tooth decay (cavities) or gum disease. Are your gums “sick” or healthy? While healthy gums appear pink and firm, sick gums are swollen, inflamed and maybe even infected. They pull away from your teeth, causing your teeth to loosen and perhaps fall out. They recede, exposing more of your tooth root. The good news is gum disease is entirely preventable. It just takes practicing good oral hygiene habits that include brushing at least twice a day, flossing at least once a day, and seeing the dentist twice a year for checkups and professional cleans. Keeping your gums and teeth healthy could go a long way towards helping you achieve overall better health. Book an appointment at Willeri Dental in Parkwood today! Find out how we can help you or someone you know.